Kit and pattern to make 3 deers (doe, stag and fawn). 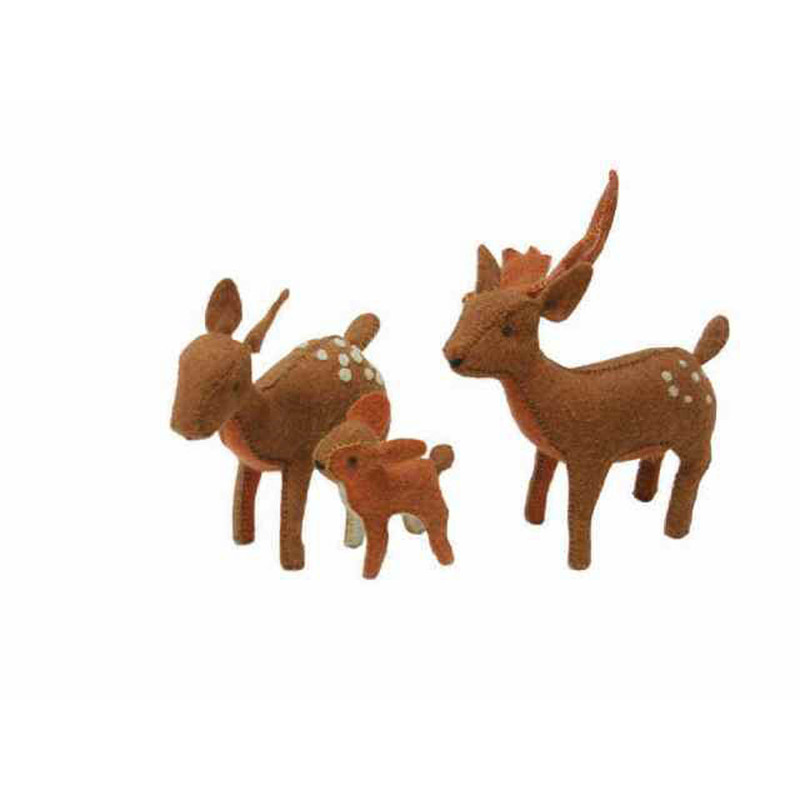 Includes all materials needed to make 3 deers. 100% Pure New Wool felt, embroidery cotton, wool fleece, pipe cleaners, beads for eyes.